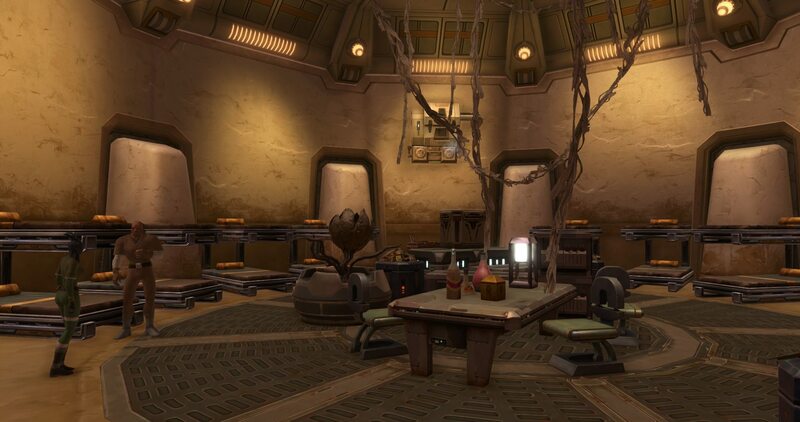 House Maka'al is a guild centered around (you guessed it) a Sith House. Head of the house is Darth Archaicon (formerly Thanamon), a 76 year old traditionalist and scholar within the Sphere of Ancient knowledge, known for his many publications on ancient cultures and curious Sith artifacts from around the Galaxy. Recently he has taken a more active part in political issues, and many can attest to his less than progressive views. The guild is still small, but growing. We are currently recruiting both Sith and non-Sith, with focus on high quality, mature, lore abiding players. 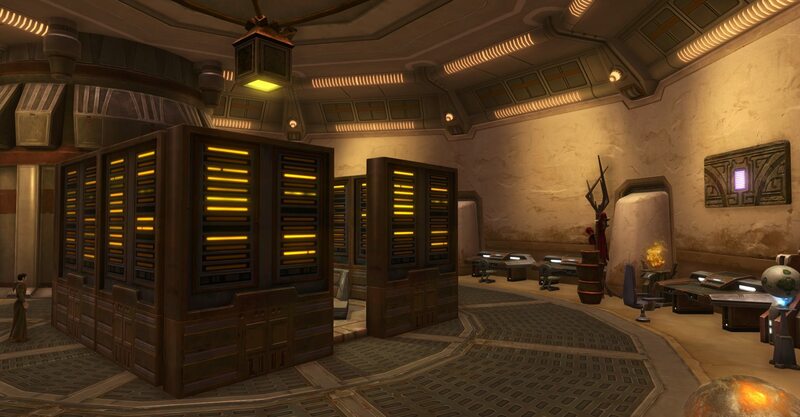 Much of the RP takes place at the Maka'al estate, IC situated on one of Korriban's moons (using the Tatooine stronghold) but members can also be found elsewhere. - Sith who may serve under Darth Archaicon in whatever capacity that suits them, be it as warriors, scholars, or other. Young or old, experienced or inexperienced, here is room to grow. - Sith from the Sphere of Ancient Knowledge looking for professional associates. 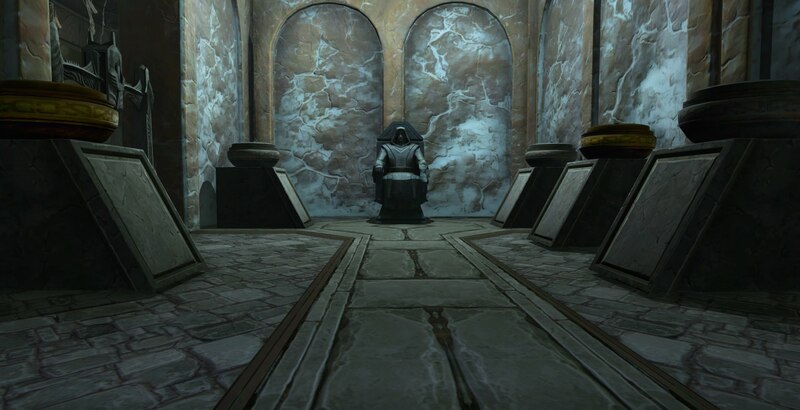 House Maka'al has an extensive collection of ancient artefacts and academic research, and fellow scholars are welcome if their interests and values align with those of Darth Archaicon. - Mercenaries/bounty hunters looking for a steady employer. 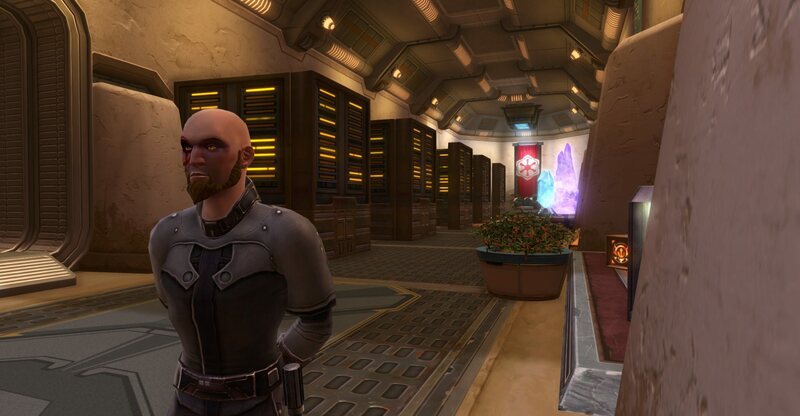 - Troopers/military men and women in service of the Empire who currently are stationed at the Maka'al estate. - Non-forcie scholars/archaeologists working under Darth Archaicon. - Medical staff for the estate's medbay. - Slaves. Yes, actual slaves, not the table dancing kind but the actual working kind. Other ideas may be of interest too, send me a message and we'll talk about it! A note on slaves. I am aware that many in the community immediately turn away at the mention of such, while others jump forth thinking it's an ERP thing. In House Maka'al, slave characters are not ERP toys but actual serious characters. ERP isn't in any way forbidden or even frowned upon, but it will never be the focus of this guild. Slaves are workers and servants, in accordance with Imperial lore. Players should be mature, responsible, and generally decent people. BS such as metagaming and godmoding will not be tolerated. Good communication and respect is key! Players should also be of the more realistic/logical kind when it comes to IC actions and consequences. Darker themes may occur; this is after all the Empire. If you are interested in joining the guild, or otherwise interacting with us, contact me here on enjin, or in-game (character names Archaicon/L'hria/Hrina), or on Discord (Fny#8151). RP at the Maka'al estate continues. Glimpses into the Maka'al Estate! Lord Thanamon has been granted a new title, and will henceforth be known as Darth Archaicon. In other words, if you want to contact me the character name is now Archaicon, not Thanamon! When a cantina just isn't enough. Talon takes the best screenshots. Thanks for having me at your get together! Was a good time, sorry I had to cut it short. By the way, if any of you ever want the best described dishes roleplay, go to supper at this guy's place. It was brilliant having you! Loved the friction between our dear Darths, and I definitely hope we have more encounters to look forward to. hey, you guys still recruiting? if so, are there any particular characters you want or need? i have a variety of sith and imperial characters i rp. Hey Ethan! We are absolutely still recruiting. While we are open to a great variety of characters, what is especially interesting right now is probably acolytes and 'new' sith with lots of room to grow. I'm usually quicker at responding here on enjin as well, it's just been a busy few days here. Evening! I have been looking for a very l ore-abiding Sith oriented guild for awhile; I'm really interested. I believe I have a character who fits the bill of what your guild is looking for as far as new acolytes ready to be molded and influenced by more experienced Masters. If you're still recruiting I'd like to touch base.